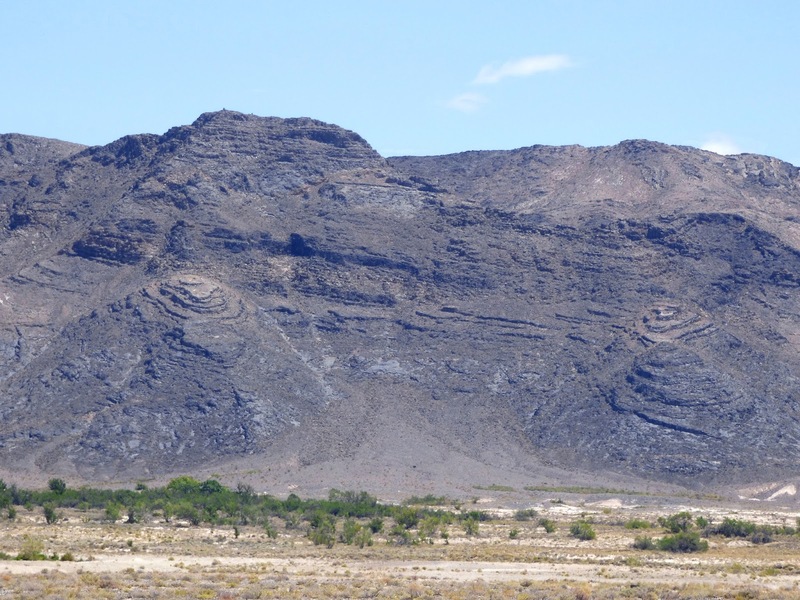 The formations are described as two coiled rattlesnakes, although to the geologist, this is a trick of erosion. The barren limestone layers overlook one of the most unlikely ecosystems in the United States. It is the largest "island" of endemic species in the lower 48 states. 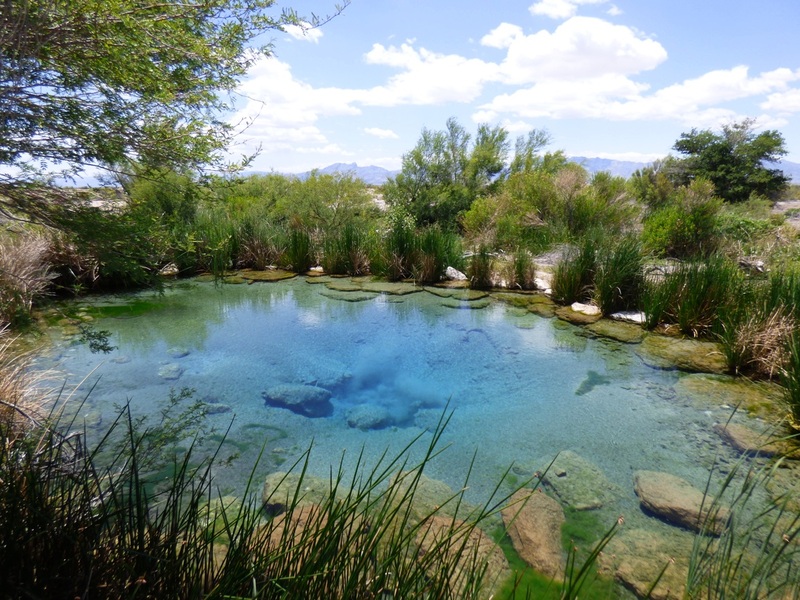 Crystal Springs at Ash Meadows. More than 15 feet deep, the springs put out 2,600 gallons of warm water each minute. Endemic species are those that occur nowhere else on the planet. The boundaries of endemism are usually the shorelines of islands, because new species arise from isolation. Hawai'i is the absolute leader in endemic species in the United States, being one of the most remote islands on the planet. There are literally thousands of endemic plants and animals on the islands that are found nowhere else in the world. The Galapagos Islands are a famous example of numerous endemic species. 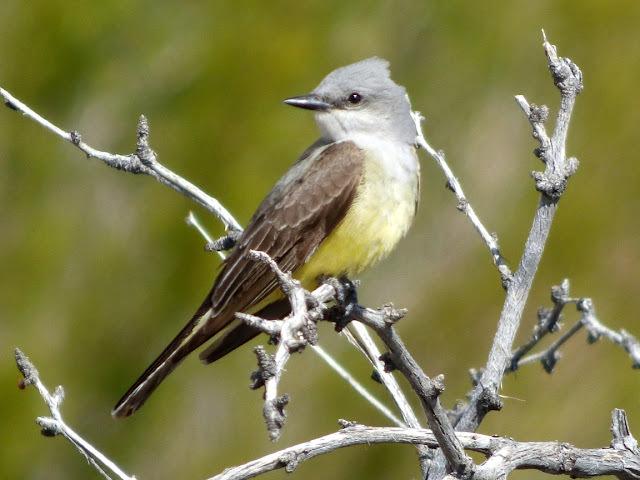 There are lots of endemic species within the boundaries of the lower 48 states, but there are relatively few found in any specific area. There are simply too many pathways for species to spread out over a wide region. "Meadow" is sometimes a strong term for the scrubby vegetation found in parts of the refuge. The alkalai soils are unique. But there are "islands" in the lower 48. They are the opposite of Hawaii or Galapagos in the sense that these are islands of water in an ocean of dry barren desert. One such island is the oasis of Ash Meadows in western Nevada. Within the 37 square miles of the National Wildlife Refuge are (or were) nearly three dozen endemic species of plants and animals, species found nowhere else on the planet. They exist in this one isolated location because of the geology, which has funneled the groundwater of a vast region into a series of three or four dozen springs that emit tens of thousands of gallons per minute. Water in the desert is life. Lots of water in one spot of the desert is almost miraculous, and that is the situation at Ash Meadows. The unique lifeforms found here include four living species of fish (along with one extinct species), eleven species of snails, three aquatic bugs, two species of bee, one extinct mammal (the Ash Meadows Montane Vole), and nine plant species. 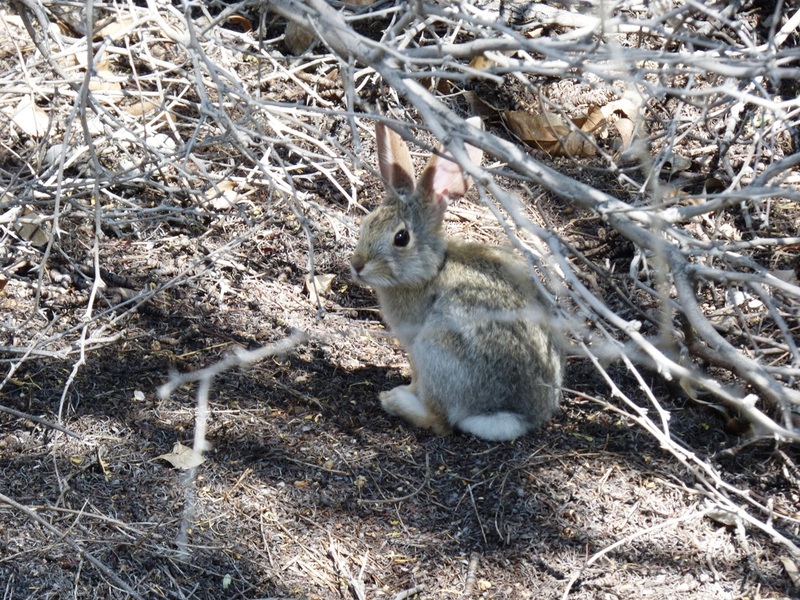 The desert that surrounds Ash Meadows is every bit as much a barrier to species travel as the open seas that surround Hawaii or the Galapagos. The meadows are only a few miles from Death Valley, the hottest place on the planet. So how did these water species come to be here in these springs and pools? Much of the explanation lies with the Pleistocene Ice Ages. A dozen or more times in the last 1.8 million years, the climate cooled and glaciers developed in the Sierra Nevada mountains off to the west. Meltwater from the glaciers filled the intermontane valleys of the Great Basin, forming a series of huge lakes and connecting rivers. 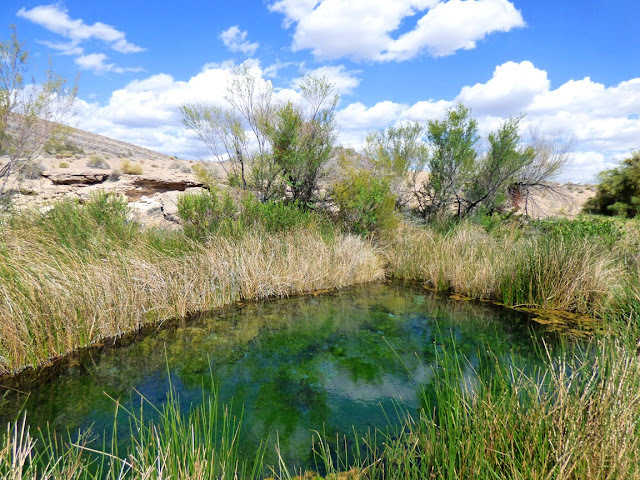 These precious tendrils of water allowed fish and other aquatic species to invade the former deserts, but as each ice age stage ended, the dry conditions returned, and a few survivor species found safe harbor in isolated springs and pools like those found at Ash Meadows. 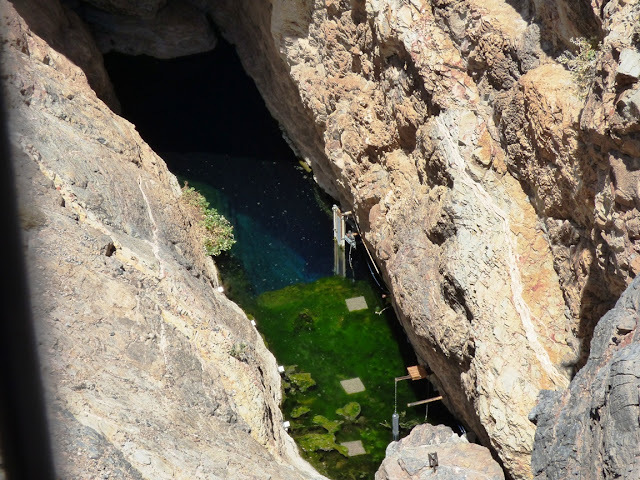 Devil's Hole, home of the extremely endangered Devil's Hole Pupfish. The pool in the cavern opening is their only home. The refuge at Ash Meadows includes a single pool of water called Devil's Hole that contains the rarest fish species on the planet, the Devil's Hole Pupfish. The pool is an outlier of Death Valley National Park. Two other species of pupfish are found at Ash Meadows, the Ash Meadows Amargosa and the Warm Springs Pupfish. The Ash Meadows Speckled Dace is also found here. The Ash Meadows Killifish was driven to extinction in the 1950s as a result of spring alteration and agricultural development. King's Spring can also be visited by an ADA accessible boardwalk. 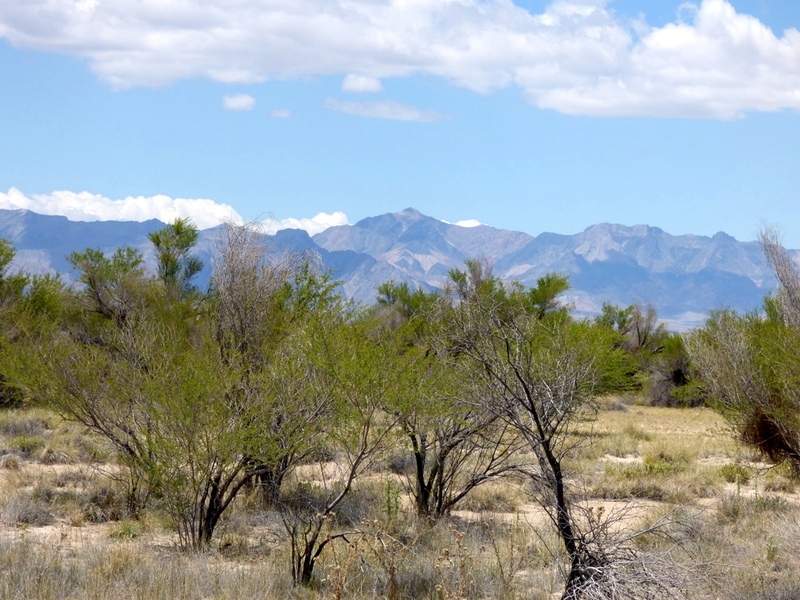 It is remarkable that Ash Meadows ever came to be a protected ecosystem because water in the desert attracts another species, one capable of altering the landscape and erasing from existence the other species that have survived in isolation for tens of thousands of years. 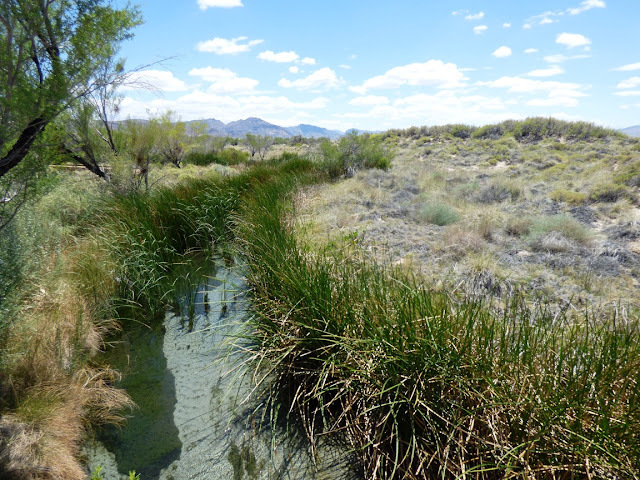 The water at Ash Meadows caught the attention of desert travelers more than a century ago, and the water was used to irrigate alfalfa fields and other crops. 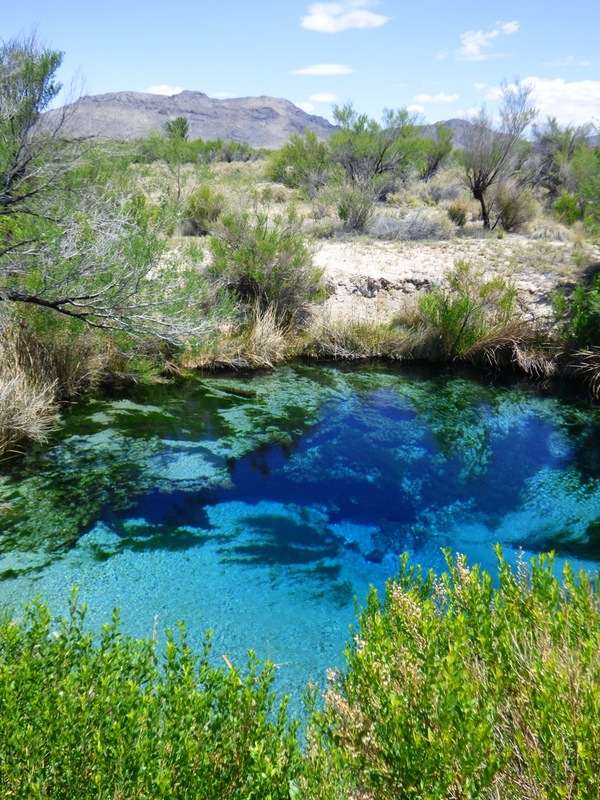 Many of the springs were put into piping systems and numerous invasive species arrived to compete with the native ones. It's hard to believe, but as recently as the 1980s, a proposal to build casinos, strip malls, and 30,000 houses almost became reality. If you have visited Ash Meadows in the past, you will find some major changes. A marvelous new visitor center opened only a few months ago. There was plenty of excellent information about the geology and biology of the refuge, but I was especially impressed with the paleontology exhibits. We spent an entire day visiting and could have spent more. Death Valley National Park is one of the greatest national parks in our country, and if you visit, you will find more than enough to keep you busy for many days. But if you find you have a day to spare, drive on over to Ash Meadows. It's only forty or so miles away from Furnace Creek. To wrap up, have a look at an Ash Meadows Amargosa Pupfish defending its territory at Longstreet Spring. These are fascinating creatures, and true survivors. I've been to Death Valley several times (I love hiking to Darwin Falls), but this is the first I've heard of Ash Meadows. Thank you for sharing your post with us, I now have a new place to explore! I driven past the signs for Ash Meadows before and wondered what was going on there (the name doesn't make it sound like much). I'll have to make a trip over there now.